Smart Start Ducky Derby – Get in the race! | Ducky Derby Fundraiser in downtown Henderson, N.C. The Ducky Derby race, scheduled for Saturday, September 15th, 2018 has been cancelled due to inclement weather. A drawing for prizes will be held Friday, September 21st at noon at the FGV Partnership office. The public is invited to attend. The drawing will be videoed and played for the public on our Facebook page, https://www.facebook.com/fgvsmartstart.org/. Winners of prizes will be notified by phone numbers from their ticket stubs. Tickets will continue to be on sale until Thursday, September 20th until noon. Call 252-433-9110, extension 227 if you have questions. Thank you to everyone who has supported our 9th Annual Ducky Derby race. on Saturday September 15, 2018!!! Quack ! Quack! Quack! Ducks on Garnett Street? 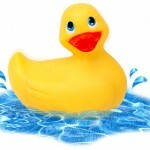 Franklin Granville Vance Smart Start will hold its 9th annual Ducky Derby Festival and rubber duck race, a fundraiser for the local Smart Start program, on Saturday, September 15th 2018 in downtown Henderson, NC. At 10 o’clock the festival begins on Breckenridge Street between the library and police station. This years’ activities include a bounce house and slide, as well as face painting and balloon animals for the children. Other activities are corn hole and ring toss. Vendors will be on hand serving hamburgers, hot dogs, chicken, sausage dogs, fish sandwiches, corn on the cob, funnel cakes, ice cream, and snow cones. Entertainment will include a DJ, singing performances from several daycare programs, and music from Henderson Collegiate, Mary Potter elementary school band and choir, as well as the drum line from Granville Central high school. The YMCA will lead line dancing and Zumba in the street. Children can man a real firehose with the assistance of the Henderson Fire department, and Smart Start will be giving each child at the event a free book, as well as the opportunity for the parent to enroll any child age 0 to 5 in the Imagination Library, a program that sends a book each month to the child at their home. Safe Kids will also be present and will set up child care safety seat inspections for those parents with children still in car seats. And local nonprofits will have booths with information for families and children. 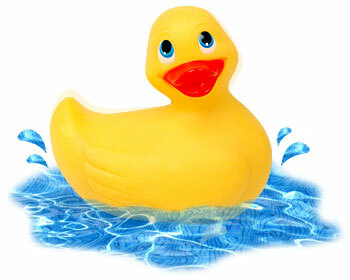 At 2 o’clock the entertainment switches to Garnett Street, where the rubber duck race will take place. Up to 2,000 rubber ducks will be poured into the Garnett Street “river” by a cement mixer provided by Greystone Concrete. The first duck to cross the finish line at Orange Street wins $1,000, second place $500, third place finish is $250, and the last duck to cross the finish line wins $100. There will be an additional drawing at the end of the race for Chick-Fil-A for a year. Winners of the cash prizes do not have to be present to win. However, the winner of the ‘Chick-fil-A for a Year’ prize must be present to claim the 52 meal tickets. In Henderson, tickets are on sale at EZ Car Care, Dots Hallmark, Henderson-Vance Chamber of Commerce, and the State Employees Credit Union. All Smart Start staff and board members also have tickets, call 252-433-9110, extension 227 if you would like someone to deliver. Tickets will also be on sale the day of the race until 1 o’clock. Ducks are $5 each, a Quack Pack of 6 tickets is $25, and a Flock of 25 tickets is $100. To become a sponsor please visit our sponsor page. Thank You for all our Sponsors and everyone who adopted ducks, you made last years Smart Ducky Derby successful!